a) Airi's 1st Giveaway. International, ends on 30th June 2012. This post is so cute and well made, it's worth to give it a read even if you're not interested in the giveaway xD . b) Qoqo 4th Giveaway. 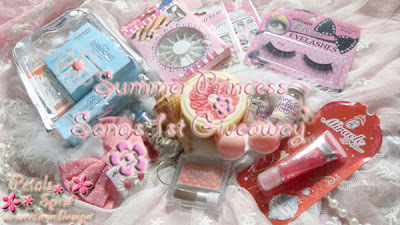 International, ends on 30th July 2012.
c) Summer Princess Sana 1st Giveaway. International, ends on 7th July 2012.